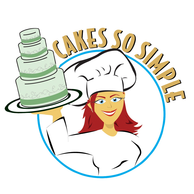 Cakes So Simple is telling secrets of wedding cake pricing in Melbourne, Palm Bay, Orlando, and Central Florida. The first question most people want to know is “How much is it going to cost?” Cake pricing really does differ from one cake to another. One example is liquor cakes versus plain cake. Liquor cost more, not to mention we have to go out and get it because without a special license you can’t get it delivered. So it stands to reason that it will cost more than a plain vanilla cake. When you are deciding on a cake and you want decorations that take tons of time, like gumpaste flowers, that cake will obviously cost more than a cake that is totally simple. Also fondant takes more time and product to make than just butter creme. This means the more product and time the more it will cost. The same is true for grooms cakes, birthday cakes, and cupcakes. 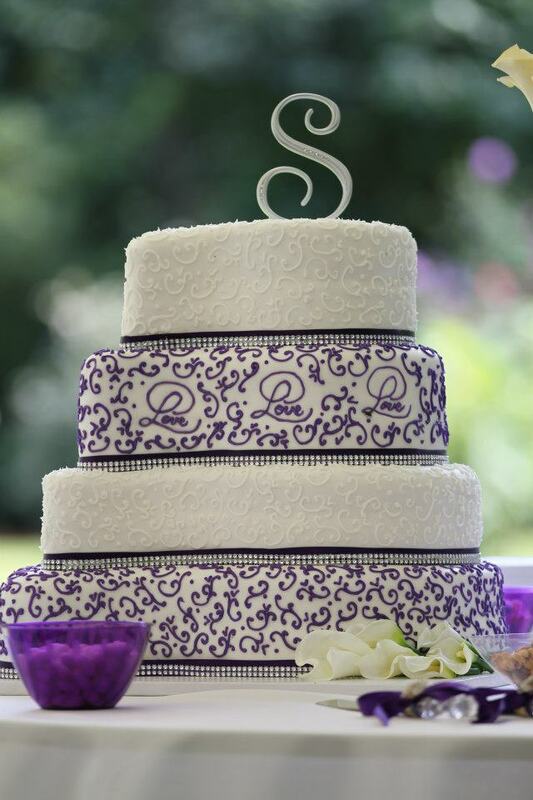 The first question Cake providers want to know is “How much do you want to spend?” I urge customers to be honest about what they want to spend. Share that secret at your consultaion. We all have a figure in mind when we go to purchase something. We know how much we want to spend. Give your baker the price range you want to be in and she will be more able to meet your needs. 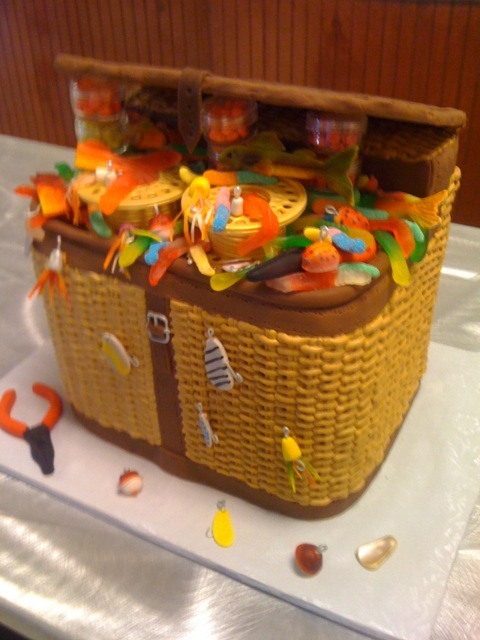 Lets say you have this fabulous cake in mind. It is 5 tiers tall and has tons of decoration on it with bling and it is just what you always envisioned for your wedding cake. So you are excited and take a picture to a baker and find out that the cake of your dreams is way out of your price range. Do not fear. 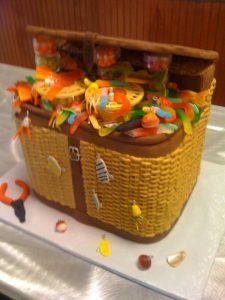 There are a couple of secrets Cakes So Simple has that can give you a version of your dream cake and serve all your guests. Istead of having all five tiers, consider doing three tiers and have sheet cakes in the kitchen. This will save you money and serve everyone. Oh, you really wanted a big cake that makes a statement. You would be surprised how we can design a table to give height and presence to any cake. You can have your cake and eat it too. BIG SECRET-Find the baker that you like. The one with the best tasting cake. The one that has proof of her/his decorating skills. Work with them. 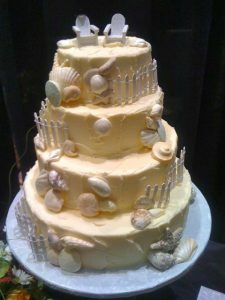 I know that at Cakes So Simple we will bend over backwards to make sure our clients needs and wants come first. Cakes So Simple gives a big Thank you!